"The system went in smoothly and has worked perfectly since day one. In fact, I haven't even noticed that it was there.... Except for the savings!" "The systems continue to deliver excellent savings for the owners and benefits for our utility as well." In 2009, the Park's budget included funds for doing a demand control job for the Park's Visitors Center. After completing the purchasing paperwork process, the installation was scheduled. The Visitor Center, being far from any natural gas lines, was an all-electric building and had large heating and air conditioning systems distributed throughout the building. The installation was completed in November of 2009 before the start of the major heating season. 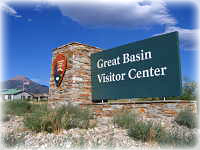 The Visitor Center's highest peak demand in the 12 months prior to control had reached 82kW but had hit 105.4kW in January of 2008. Since the Energy Sentry was installed, the peak demand has been 50.4kW or less each month, delivering great savings to the Park for this building. Don Geary, the Park's Electrician and Water Operator said, "Brayden Automation was great to work with. The system went in smoothly and has worked perfectly since day one. In fact, I haven't even noticed that it was there.... Except for the savings!" In the first 10 months, the savings have been over $1,900. Mt. Wheeler's Kevin Robison said,"When we find applications like this, where the demand is unusually high, we call Brayden Automation to see if they can help our member owners. We've done a number of projects with Brayden over the years and the systems continue to deliver excellent savings for the owners and benefits for our utility as well."